May 1, 2017 By Elise 9 Comments This post may contain affiliate links. Please read my disclosure policy for more info. If you’re on a gluten-free diet, you’ve probably mourned the loss of good bread. I know I did when my husband, the celiac, and I got married. And I also tried recipe after recipe that turned out from terrible to okay. 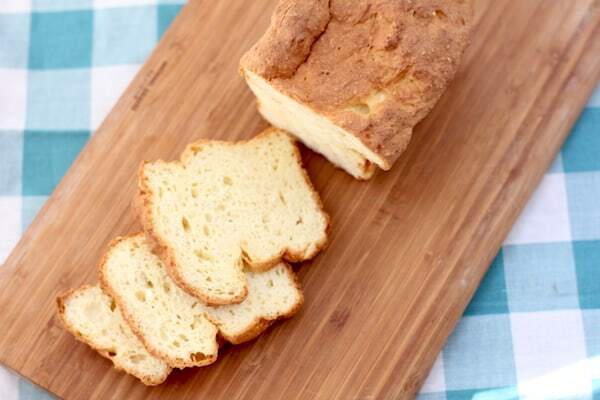 Gluten-Free, Dairy-Free, Egg-Free Bread – Amazing fresh, with a perfect, crunchy crust, but turns stiff and crumbly within 24 hours. Gluten-Free, Yeast-Free Bread – Delicious, soft, springy texture, but you do need to make it in smallish loaves for a good rise. 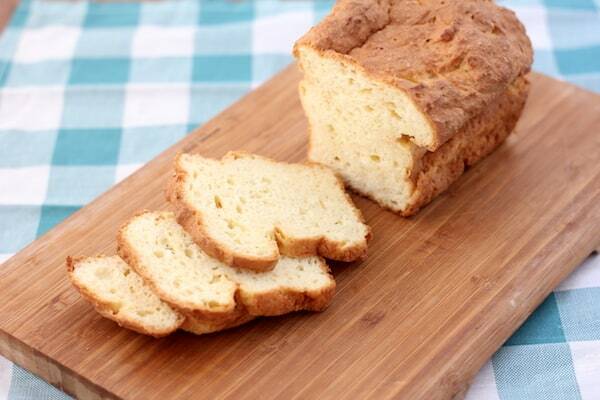 Gluten-Free Artisan bread – super tasty and great for breakfast and toast. Not the best sandwich bread though. 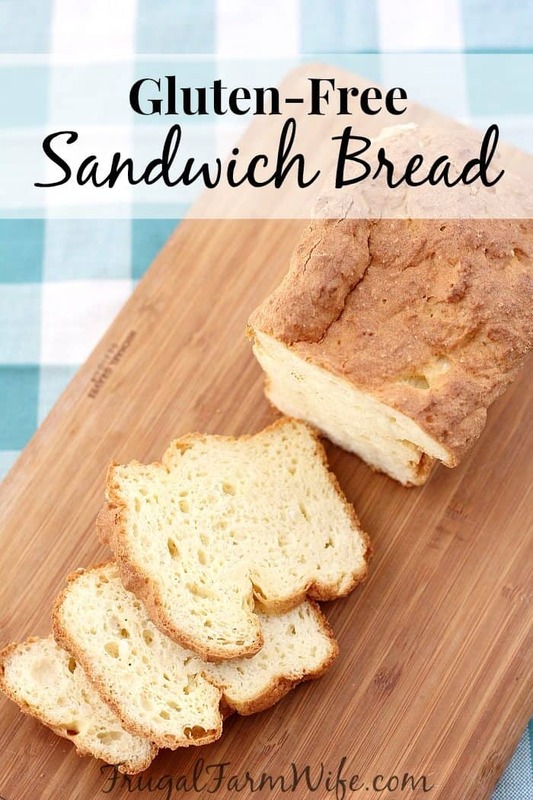 Gluten-Free Sandwich Wrap bread – My favorite for the simple reason that it take a mere five minutes to bake. Now THAT’s a win! However, it is a wrap, which isn’t the easiest for kids to handle – they like fewer sandwich fillings that could potentially fall out, and more actual bread. plus, you can’t doc all the things with it that you can regular bread. Like French Toast. All of those bread recipes are great, but they’re not soft, fluffy slices of sandwich bread like we’re used to. The kind that you can make ahead of time and keep around for lunches during the week. But this is that bread! It’s a spin on the sandwich wrap bread believe it or not. That recipe stays nice and soft, and with a few adjustments, we turned it into a loaf. I let half of my first loaf (yes, it was cut into!) sit on the countertop for three days, and it was still soft. Yay! There is one issue that I think will always plague homemade gluten-free bread: because it’s a batter, rather than a shapeable dough, the bread has a mind of its own when it comes to rising, which most often results in funny looking loaves. Frankly? I don’t really care. Just smooth the top into a nice dome with a wet spatula, and let nature take its course. With a wet rubber spatula, smooth batter into a domed loaf shape. Of course, letting the bread cool completely before slicing is best, but who doesn’t love hot bread and butter?! Where is the recipe? Would love to make for my GF home. Hi Christina, it’s below the pictures. Hi, I am having the same problem on my iPad I can’t find the recipe. There must be a problem with the page. Hi Ivy, can you tell me what browser you’re using to view the recipe, and whether you scrolled down? There are three pictures, and THEN the recipe in a gray box. Hope that helps. It should take you directly to the recipe. Can this be made with a preexisting gluten-free flour? And if so, does it still need the guar gum?? If your flour mix has gum in it, then you’ll want to omit the gum in the recipe. As for using your own mix, that will be sort of a science experiment, because the recipe testing was done with the mix at the link.